There have been significant legislative changes giving the Financial Services Authority (FSA) wide ranging powers for regulating financial services. This now includes indirectly monitoring the activities of other firms such as accountants and solicitors that are registered as exempt professional firms. The recent review of the financial services industry by the Office of Fair Trading (OFT) has resulted in the FSA abolishing the concept of polarisation in order to stimulate competition. The Occupational Pensions Regulatory Authority (OPRA) has considerable power to protect the scheme member rights within employer pensions. Both the FSA and OPRA offer the public an ombudsman service to resolve disputes. The super regulator for the financial services industry is the Financial Services Authority (FSA), being fully in force from the 30 November 2001. Under the Financial Services and Markets Act 2000 (FSMA) the FSA has four objectives: maintaining market confidence; promoting public understanding of the financial system; the protection of the consumer; and fighting financial crime. With the introduction of the FSMA at N2, the FSA will regulate the activities of mainstream financial services business. The FSA will also have a duty to maintain an oversight of and keep under review how exempt professional firms carry on regulated activities and how their independent bodies regulate them. Under the FSMA, the Financial Ombudsman Service (FOS) will replace the existing ombudsman and legally become the statutory ombudsman scheme covering most areas of personal finance. The FOS will aim to satisfy the FSA objective to maintain market confidence by providing a dispute resolution procedure. The Pensions Ombudsman will however continue as a separate scheme. Section 326 of the Financial Services and Markets Act 2000 will introduce designated professional bodies (DPB) as designated by HM Treasury. A DPB could include the Law Society and Institutes of Chartered Accountants and will be responsible for supervising and regulating exempt professional firms. A DPB must cooperate with the Financial Services Authority, especially with regard to sharing information. Reviewing the financial services industry will be the director general of the Office of Fair Trading (OFT) that has extensive responsibilities covering consumer protection and encouraging competition. The OFT aims to maximise consumer welfare by; protecting consumers by preventing abuse; empowering consumers by giving them access to information and redress; and promoting competitive and responsible supply. The OFT aims to promote competition and create efficient working of markets for goods and services by; removing or limiting restrictions on the competitive process; and improving the effectiveness of competition law. This will enable consumers to buy goods and services they want at the best possible price. The director general of the Office of Fair Trading is responsible under section 122 of the Financial Services Act 1986 to review the rules and practices of the financial services industry. As a result of the director generals report to the treasury, the financial services authority has liberalised polarisation and the government has introduced the FSMA to replace and update the Financial Services Act 1986. The direct responsibility for governing investment business was given to the self regulating organisation (SRO) that was set up by the Financial Services Act 1986. However, under the Financial Services and Markets Act 2000 the SRO was abolished and their responsibilities transferred to the FSA. The responsibilities for the functions and activities of the SRO and regulatory policy in general was provided by the Securities and Investment Board (SIB), as a result of the Financial Services Act 1986. In October 1997 all the functions of SIB were transferred to the Financial Services Authority (FSA). The SRO established for the protection of customers is the Personal investment authority (PIA), now the FSA, that use to regulate about 4,300 firms including independent financial advisers (IFA) that advise private investors in relation to investment products. The PIA governed the sale of life assurance, personal pensions, friendly society investments, unit trusts, investment trust savings schemes and financial services offered to members of the public. The PIA responsibilities were incorporated within the FSA fully on the 30 November 2001. Under the Financial Services Act 1986, recognised professional bodies are permitted to authorise its members to carry out investment business where it does not form part of the members main activity. Under this legislation there are some 15,000 professional firms including solicitors, accountants and actuaries that are regulated for investment business by their respective RPB. About 2,000 of the firms carry on mainstream investment business including direct advice on investments products, discretionary portfolio management and corporate finance services. From N2 the Financial Services Authority directly regulate the activities of this type of firm. The other 13,000 carry on investment business that is subordinate to and derived from their professional services and from N2 are treated as exempt professional firms, able to carry on exempt regulated activities under the supervision and regulation of designated professional bodies. When the Occupational Pensions Board was disbanded on 6 April 1997, the Occupational Pensions Regulatory Authority (OPRA) took on some of its functions. OPRA are funded by a levy on pension schemes generally. Their role is to enforce the law applicable to occupational pension schemes and have wide powers for this purpose. This includes the power to wind up pension schemes and suspend, disqualify or remove trustees. OPRA will also ensure schemes adhere to the minimum funding requirements, the introduction of member nominated Trustees, contribution schedules, the audit of scheme accounts and presentation requirements. OPRA regulates all occupational pension schemes but schemes with only one member are exempt from paying the general levy, such as Executive Pension Plans. In the event of an internal dispute between the former scheme member and the scheme trustees involving the payment or calculation of a transfer value (which should have been resolved satisfactorily at the time of transfer) the transferred out scheme member can have recourse to the to the services of the Occupational Pensions Advisory Service (OPAS). The former scheme could also approach the Pensions Ombudsman that performs a similar role. Following the Retirement Benefits Scheme (Information Powers) Regulations 1995, the pension schemes office (PSO) made significant changes to the reporting requirements of occupational pension schemes, as per the latest PSO practice notes published in August 1997. The PSO supervision rules were extended to include inspection visits with compliance audit teams. Failure of occupational pension schemes to comply with the PSO could result in fines that would be significant in cases of fraud or negligently inaccurate information. For any grievances or injustice as a result of maladministration, the Pensions Ombudsman can award compensation where a pension scheme is the victim of fraud, dishonesty and misappropriation resulting in the employer becoming insolvent. 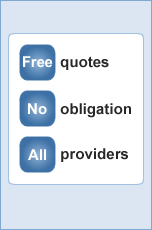 The Pensions Ombudsman is funded by registration levies on all occupational pension schemes. Compensation will be limited to 90.0% of the loss for money purchase schemes and for final salary pensions 90.0% of the loss or the sum needed to restore 90.0% of the schemes minimum funding requirement (MFR) if less. As a result of £600 million of funds going missing from pensions schemes within the business empire of the late Robert Maxwell in 1991, the Pensions Law Review Committee (PLRC) reviews all aspects of the legal protection of pension scheme assets. In particular, the committee's 1993 report concluded that trust law was 'broadly satisfactory and should continue to provide the foundation for interests, rights and duties arising in relation to pension schemes'. The PLRC conclusions were accepted by the government along with other recommendations for extra strengthening and regulating methods where trust law was inadequate and incorporated in the Pensions Act 1995.